· Simple – the user provides his account ID and phone number. 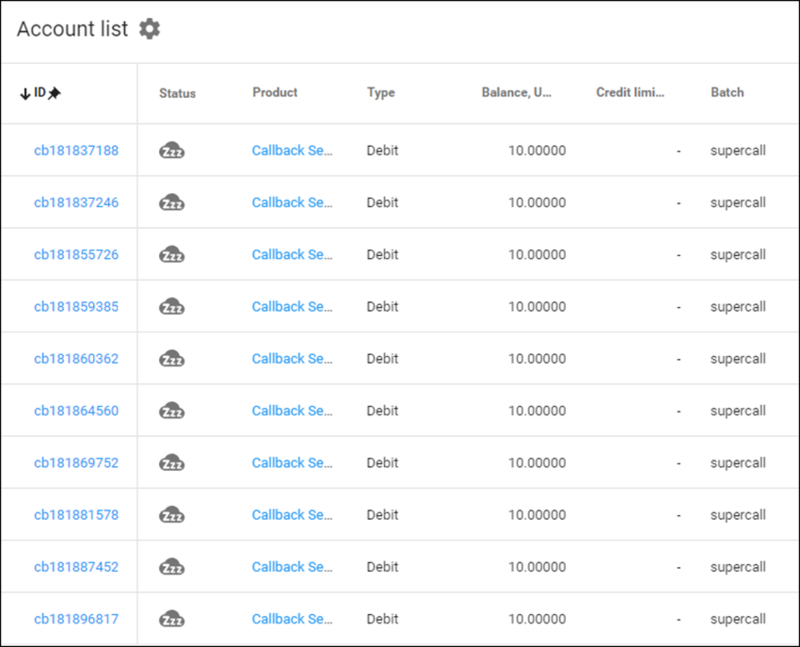 When a callback is requested, he is connected with a predefined number (e.g. a helpdesk of the service provider). · Extended – the user provides his account credentials (account ID and password) and phone numbers: one he wants to be called back at and the one he wants to dial. 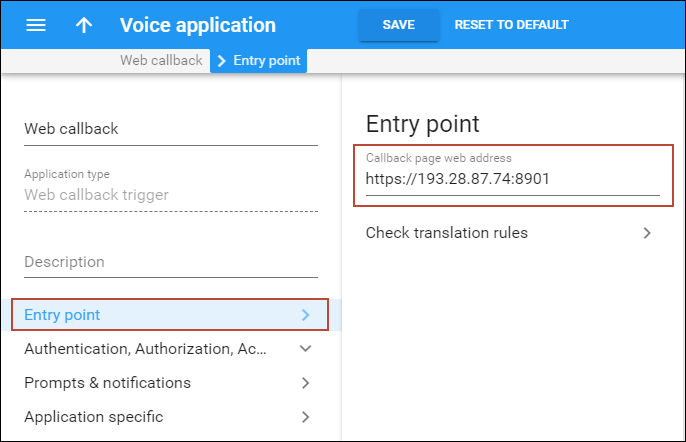 NOTE: Since for the hosted WEB callback, the first outgoing call is established without authentication, to prevent service abuse make sure that unauthorized users are not allowed to access the WEB callback trigger for hosted mode. 1. A user from Brazil wants to make a call to the USA. He goes online and enters his account credentials (account ID and password), a phone number where he can be reached, and the US destination number. 2. Next, he needs to reach the helpdesk, so he enters his account ID and the phone number where he can be called back. · Name – specify the name (e.g. Web callback). 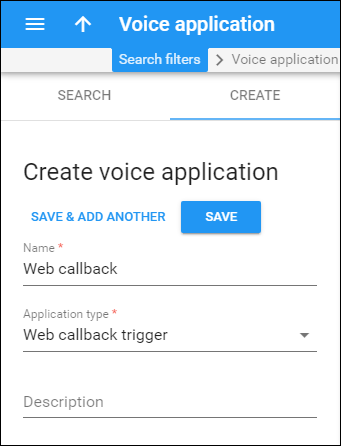 · Application type – choose Web callback trigger. 1. 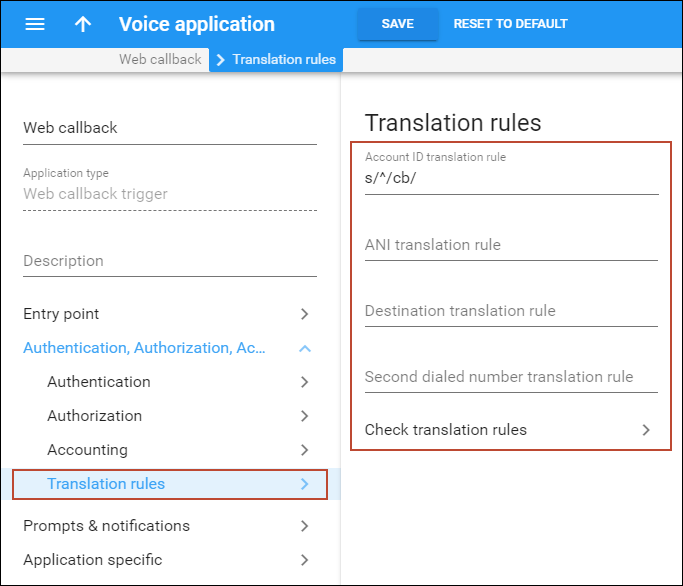 On the Voice application panel, go to the Entry point panel and specify Callback page web address. This address will be provided to your users for initiating callback calls in this format https://<host>:8901 (where host is either a domain name or an IP address of the web server (the admin interface hostname), and 8901 is the port where the WEB callback operates). 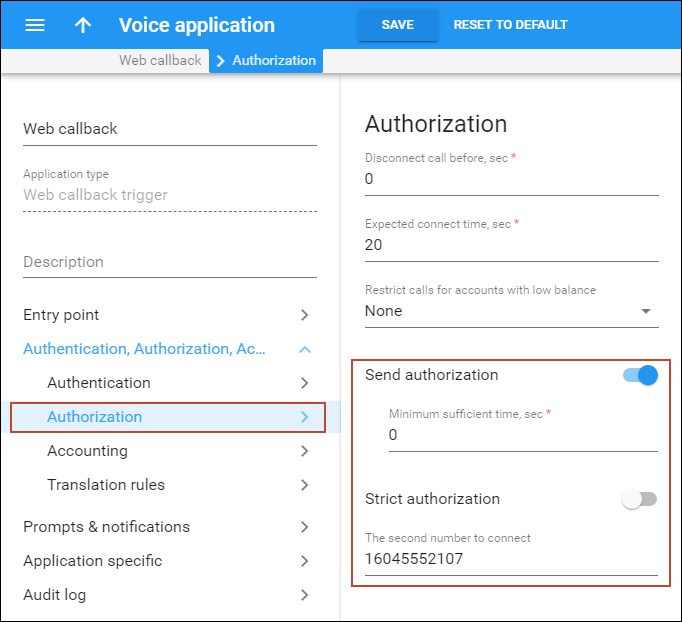 · On the Authorization panel, put a cursor in to The second number to connect field and specify the number end users will be connected to when using a Simple WEB callback (e.g. the phone number of your helpdesk). 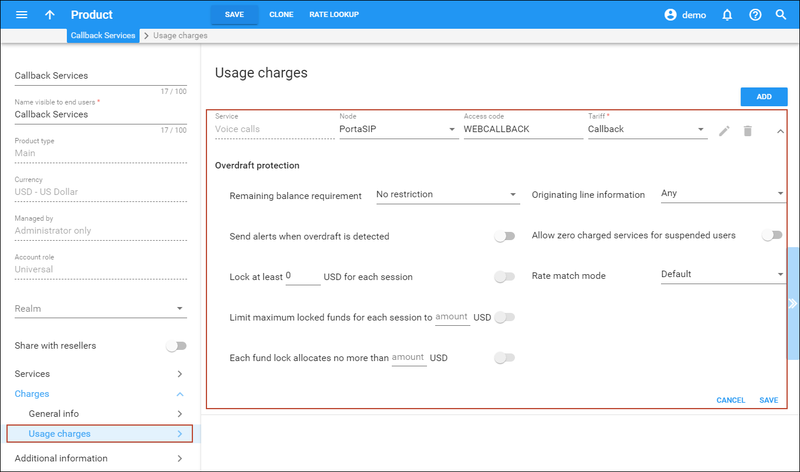 · On the Accounting panel, specify the access code that will allow the PortaBilling® to use a special tariff for callback charging. 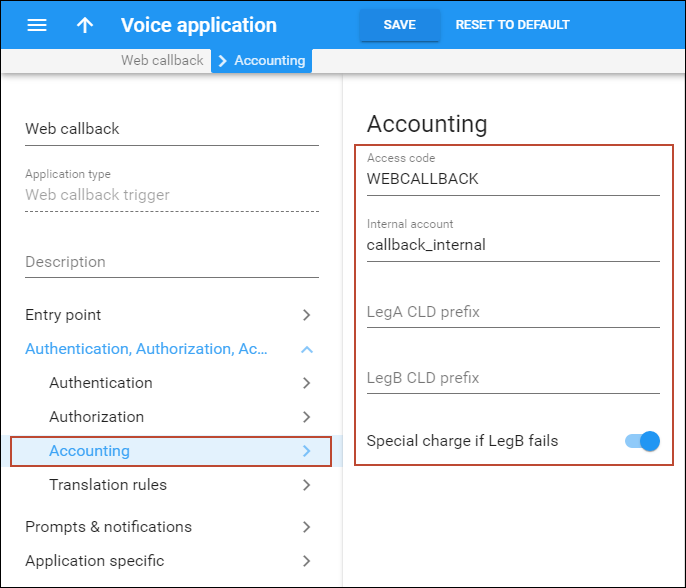 For WEB callback, the default access code value is WEBCALLBACK. 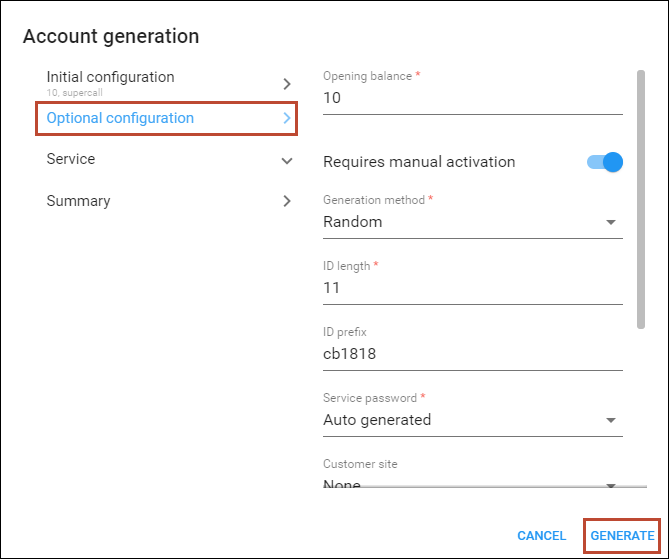 · Internal account – Specify the internal account. During the hosted Web callback, this account is used for authentication and is charged for call legs. At this step it is necessary to create a tariff according to which your customers will be charged when using callback services. A callback call consists of two parts (call legs): a call to the calling party (legA) and a call to the destination number (legB), therefore this tariff is used to create charges for both call legs. The total charge for the whole callback call is the sum of charges for call legA and call legB. Since a callback call consists of two parts (call legs), rates for both call leg destinations need to be entered into the tariff. · Destination – Select a destination prefix from the list or type it directly, (e.g. 1818 for Canada). 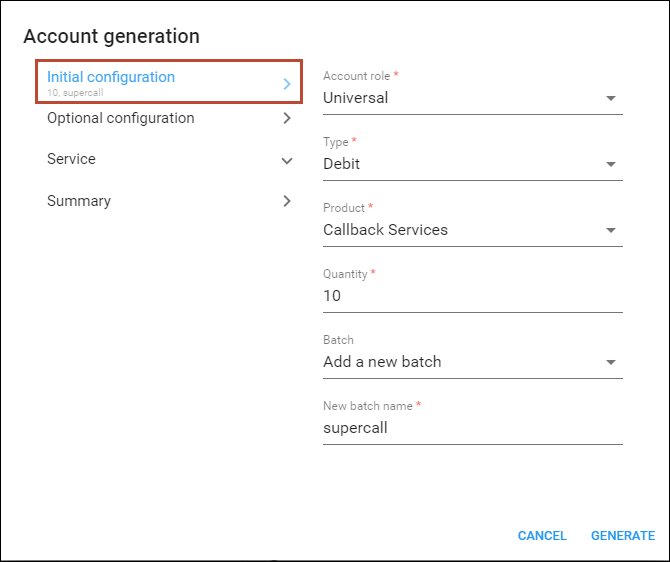 Accounts for accessing callback services will have a specific product assigned to them. 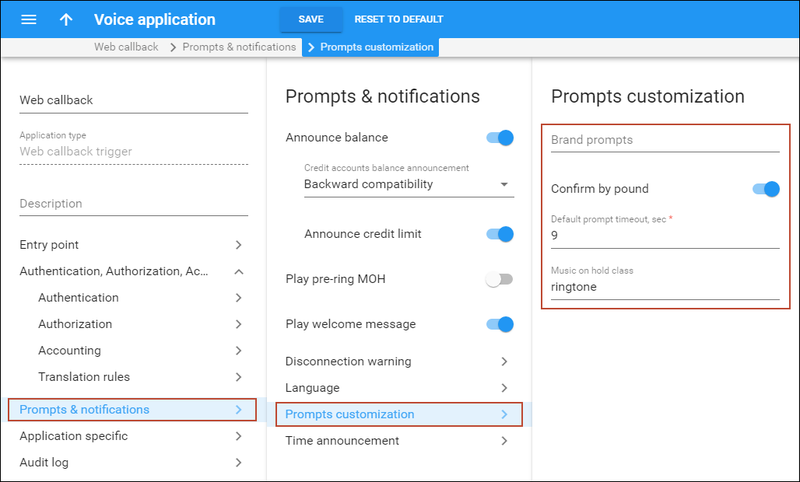 Products are powerful tools that define different ways for billing accounts. Product definition is always done using these steps: product type definition, service definition and configuration and creation of a rating list. · Access code – Type in the WEBCALLBACK access code here. 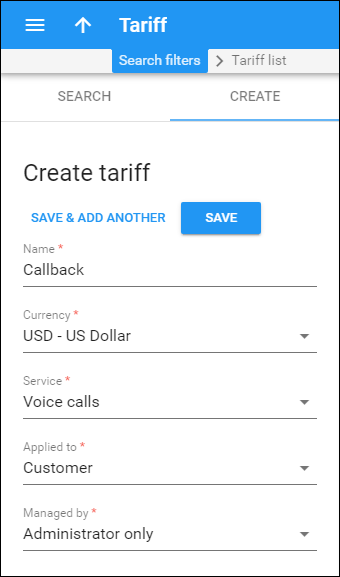 You can also leave this field empty; the system will automatically select this tariff when charging for WEB callback services. · ID prefix – If you would like all of the generated accounts to start with the same digit string (e.g. 1818), enter it here. Thus, if you enter 12 and an ID length of 9, account IDs (PINs) will look like this: 1818NNNNN, where N = random digits. NOTE: Account generation tasks are executed every few minutes and it may take a while to generate large numbers of accounts. Notification about the cards generated will be sent by email to the user who created them. A .csv file with information about the new accounts will be attached to that email. In case the original email message was lost or accidentally deleted, the file containing generated accounts is stored on the PortaBilling® slave server in the user /porta_var/<Server_IP>/ directory, sub-directory cards. 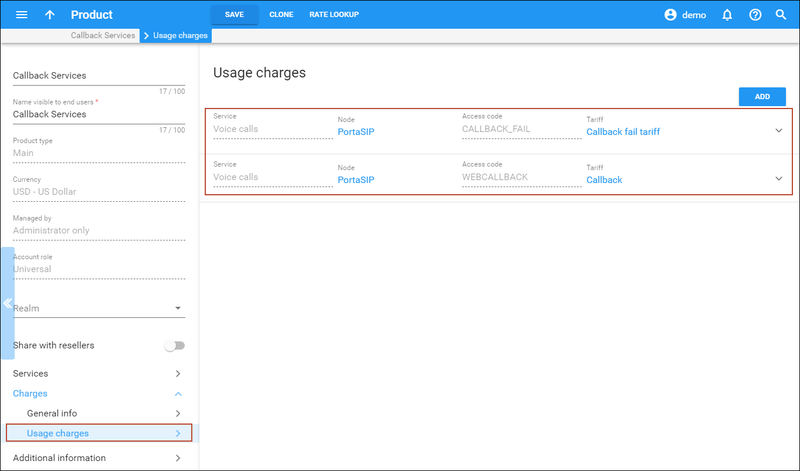 If a user enters an invalid account ID (PIN) when using a hosted callback, the call will not be established. However, the call to the number of the calling party will have already been established and will need to be handled correctly, i.e. this call must be charged to an account and an xDR must be created for this session. How can this be done if no account ID is provided? The so-called internal account is used for this purpose. To keep the accounting organized, it is recommended that an internal account be created that PortaBilling® can use to charge for such “partially made” calls. 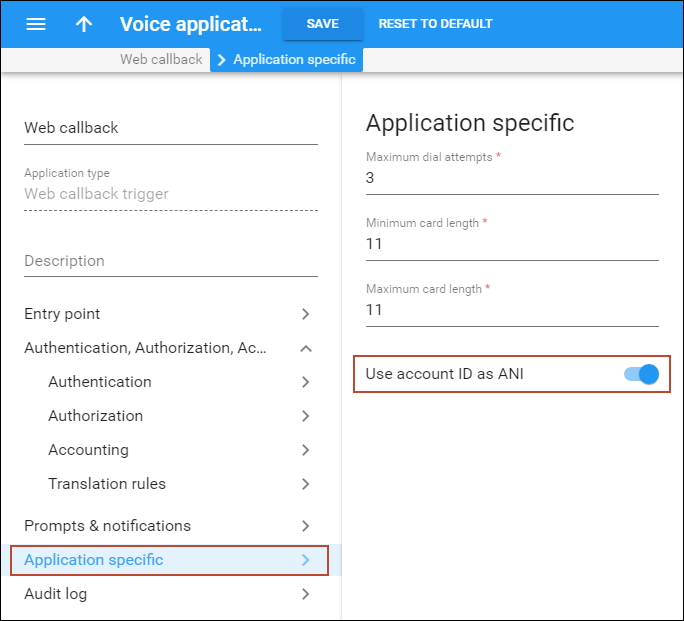 · ID – Specify in the Internal account field of the WEB callback trigger instance. 1. Go to the web page using the web address specified in the WEB callback trigger instance. 3. Specify the credentials (account ID and password) of your account for callback. 4. Specify the number you want the system to call you back at and the destination number you wish to dial. 5. Click Connect Us Now! 1. While on the web page for callback services, select Simple type. 2. Specify your account ID and the number you want to be called back at. 3. Click Call Me Now! Let’s say an employee of a company is on a business trip in Brazil and needs to reach his office. Instead of paying for expensive international calls, he can “order” the call from the office to his mobile. 1. While on the web page for callback services, select Hosted type. 2. Specify the number you can be called back at.